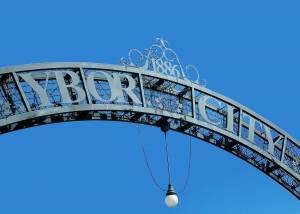 In 2016, the Ybor City Development Corporation (YCDC) launched its first district survey of residents and workers. Many changes and improvements have occurred since and the YCDC needs your feedback to continue to bring about programs and activities to improve your district. If you live or work in Ybor and have any thoughts on changes or improvements, we would love to hear from you. Click here to take part in the survey. In exchange for a few minutes of feedback, there’s a chance you could win a gift certificate from Ybor restaurants and retailers.